In late July and early August, my wife & I had the opportunity to attend the International Route 66 Festival in Joplin, Missouri. Although it was some 525 miles from our home base in Indiana, we decided to blend two of our loves for this trip: Route 66 and camping. 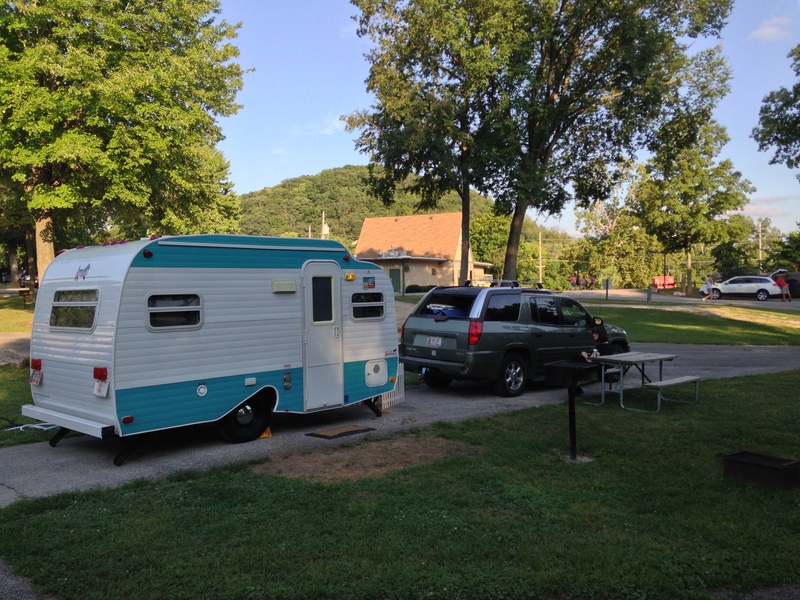 We camped four nights in our Serro Scotty on this trip at three different campgrounds, all in Missouri. This was also the first time we ever had camped anywhere on Route 66, so we had some research to do in regards to where to camp on those particular nights. 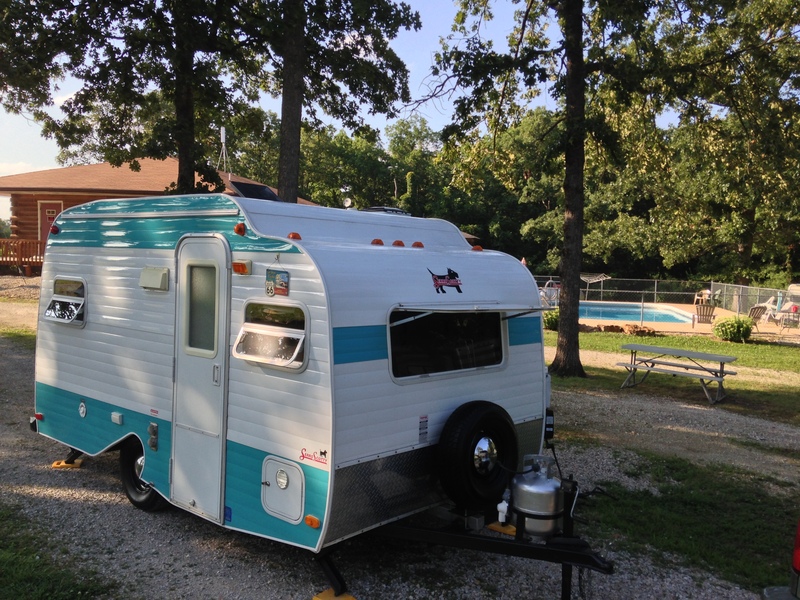 For the first night, we chose the Lady Bug RV Park just west of Cuba, Missouri. The Lady Bug is a small, privately owned park consisting of a mere 30 sites. However, they had excellent amenities there, including clean shower facilities, a fully stocked store, swimming pool, and friendly service from owner Charlotte. The Wednesday night rate of $23 gave us a full hook-up pull-thru site with wi-fi (although it was down). 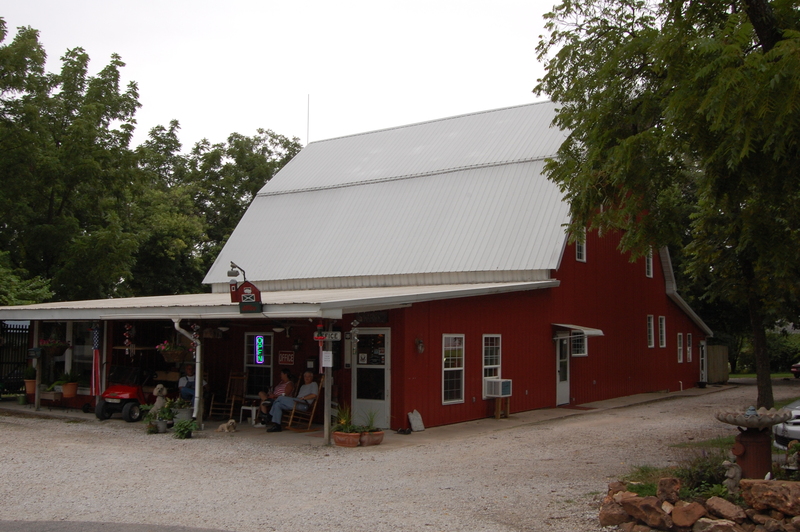 While the Lady Bug is at an interchange just north of I-44 with no other services, there is some fun to be had within 6 miles east along State Highway ZZ, which is also the path of old US Route 66. Just a mile east on Route 66 from the I-44 exit where the Lady Bug is located stands the World’s Largest Rocker, located at the Fanning Route 66 Outpost. 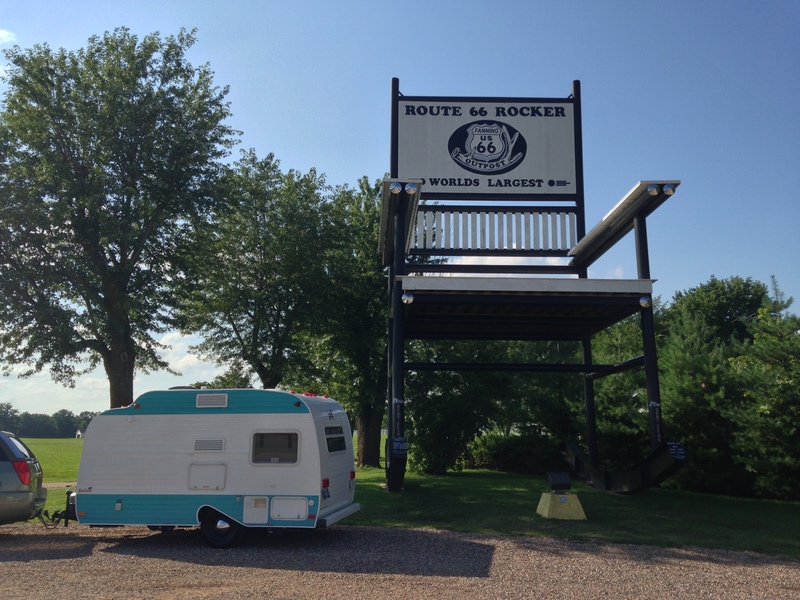 Standing 42′ 1″ tall, the rocker is quickly becoming one of the more photographed tourist attractions along Route 66, with the help of billboards along I-44 luring travelers off the interstate and on to Route 66 for a picture and a cold drink and souvenir at the outpost. Our second night we found ourselves at our campsite for the following two nights: The Big Red Barn RV Park in Carthage, Missouri. While it may not suit some campers because of a lack of a swimming pool, it suited us just fine and gave us the things we value in our camping experience: peace and quiet. 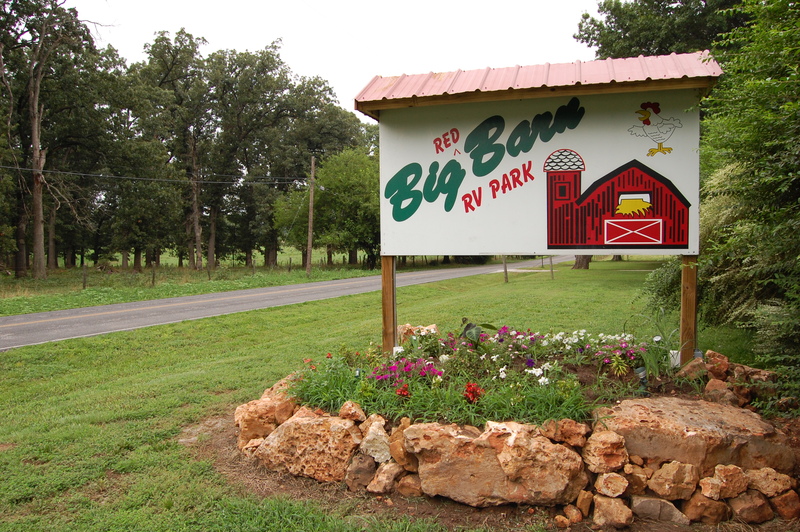 The Big Red Barn is nestled east of US 71/I-49, just off a country road, just far enough away from the noise of the highway, but close enough to Carthage (less than 5 minutes) if you need something a larger town has to offer. Following our visit to Joplin and the International Route 66 Festival (check out the full details on that here on our road trips blog: http://roadtripmemories.com/2013/08/02/july-31-august-4-2013-international-route-66-festival-joplin-missouri/), we made our way back east through the Missouri Ozarks for our final night of camping just outside of St. Louis at the KOA in Eureka, along the shoulders of Route 66. 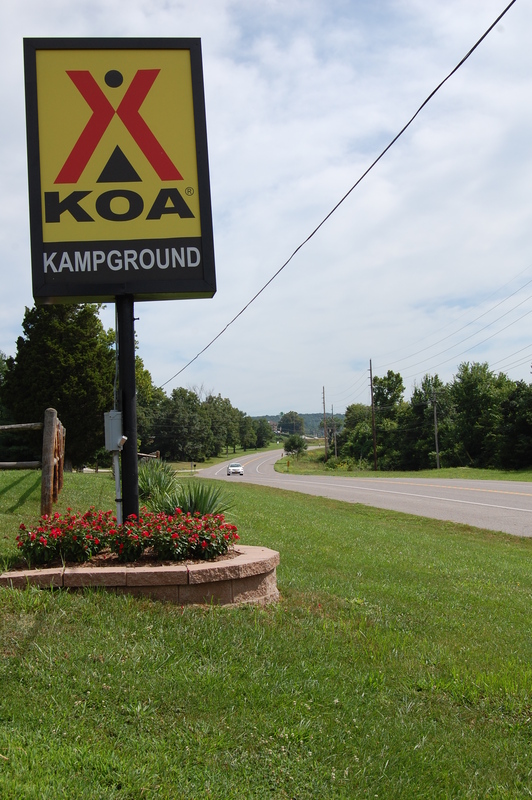 We had stayed at a KOA only one time prior, and the service at the Eureka KOA was just as top notch. 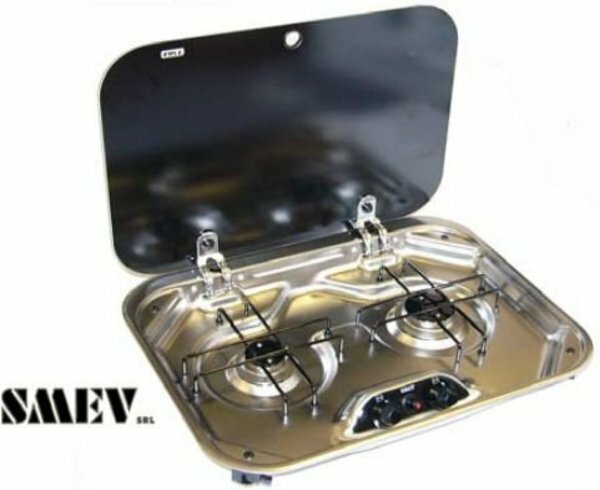 As anyone will tell you, yes, you do spend more at a KOA, as our water & electric-only pull thru site for $39 would indicate. However, the service by the entire staff was exceptional. 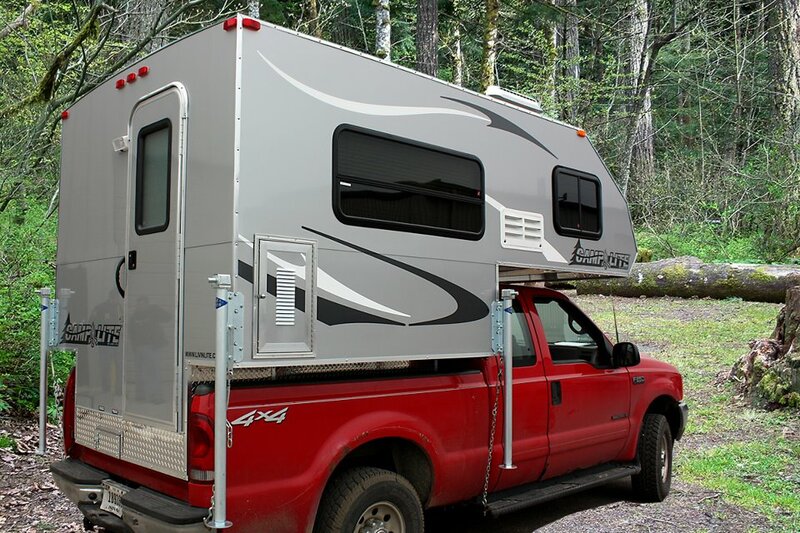 You pretty much know what you’re going to get with a KOA, and for some, that peace of mind goes a long way. 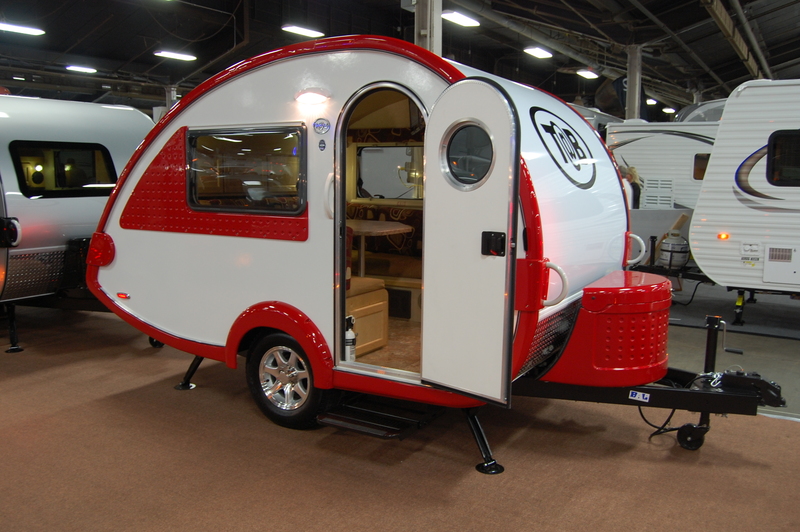 This last night on our trip was especially nice because of the three campgrounds, the Eureka KOA was the only one of them actually along the shoulders of Route 66. This also meant this was the first time we ever got to camp along Route 66, which is something we’ve been waiting & wanting to do for several years. St. Louis has a long list of things to do for tourists, from the Gateway Arch to Six Flags to The Hill, St. Louis’ Italian District. 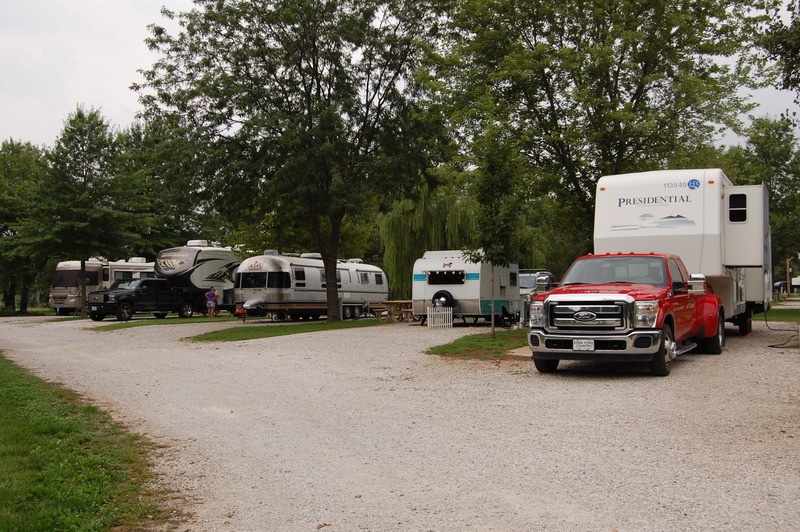 However, the lone night we stayed at the KOA, we met up with a couple of friends who live nearby who camp at our house during the Indianapolis 500. 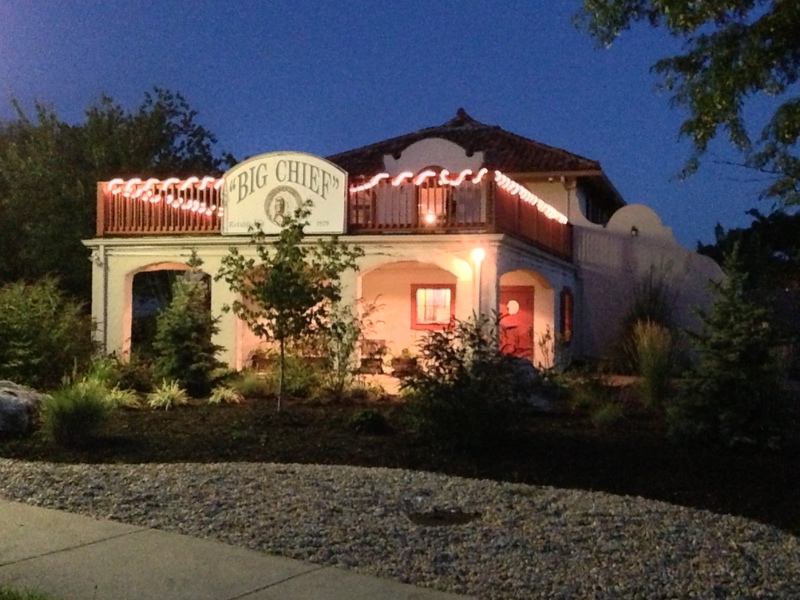 We had a great dinner at the Big Chief Roadhouse, a bustling eatery that dates back to 1929 on the old Manchester Road alignment of 66. From there it was on to a spot that is as famous to St. Louis as Stan Musial and the Mississippi River: Ted Drewes Frozen Custard, located on Chippewa Street in the St. Louis city limits. 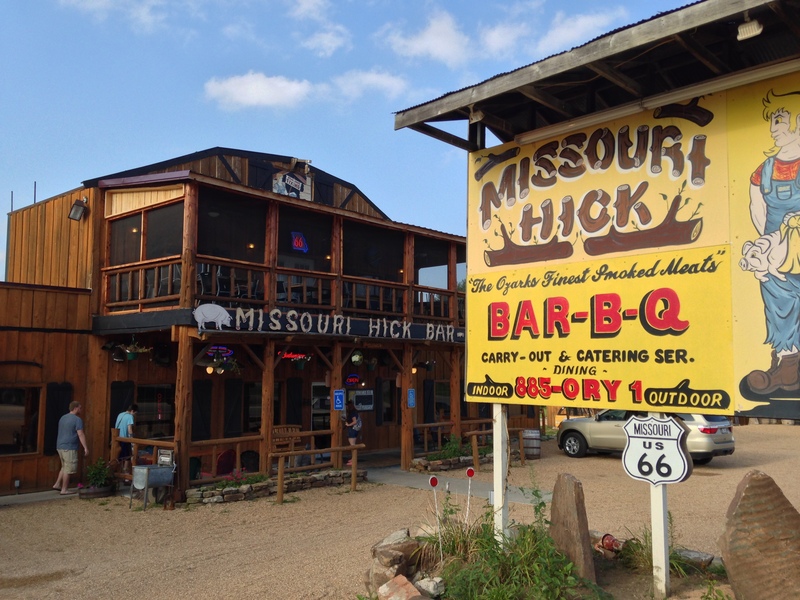 This camping trip along Missouri’s 300+ miles of Route 66 was a good test to see how well a small trailerite would do traveling an historic highway where having to stop for photos is a “must do”, as my wife is quite adept when it comes to roadside photography. It’s easy when you’re just in a car and can pull off to the side of the road for a picture or can just pull into the location. 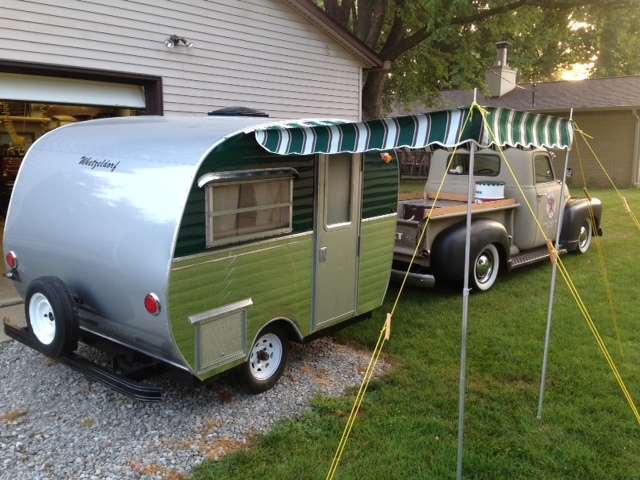 However, when you have a 16′ trailer behind you, that can pose some challenges. 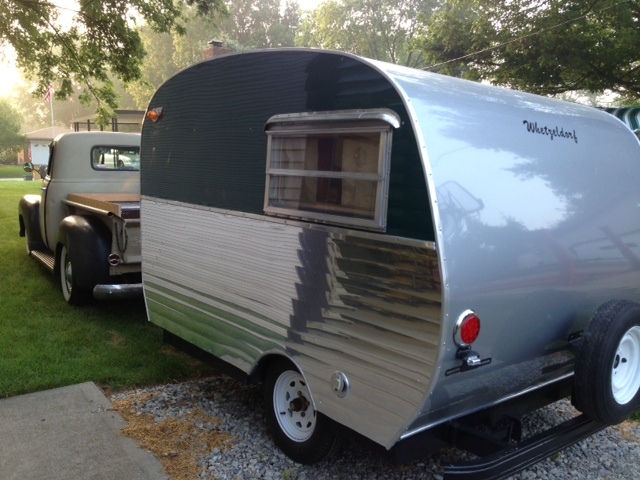 My advice if you’re on an historic highway trip and hauling a trailer is to BE PATIENT. Know your surroundings, be cautious of where you want to turn around, and just use good judgement. You can still get that cool shot of that old abandoned gas station, but you have to put some careful thought into making it happen. If you’re a novice Route 66 traveler, I highly recommend getting your hands on Jerry McClanahan’s EZ Guide to Route 66, available here. 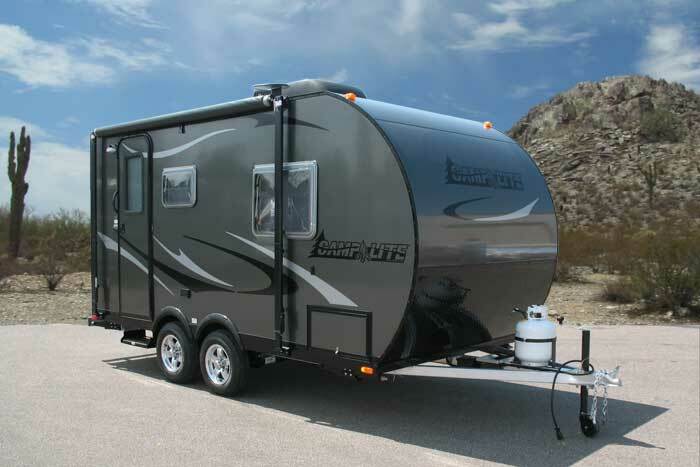 Also, when planning your Route 66 camping trip, Route 66 News has a comprehensive list of campgrounds on or near Route 66, which you can find here. It’s been over a month since my last post here on the blog, despite a few random tweets and re-tweets for those of you followers on Twitter (https://twitter.com/Small_Trailers) . That’s due in part to a hectic work & home schedule, as well as just a lack of news. However, I decided to go find the news instead of waiting for the news to find me. 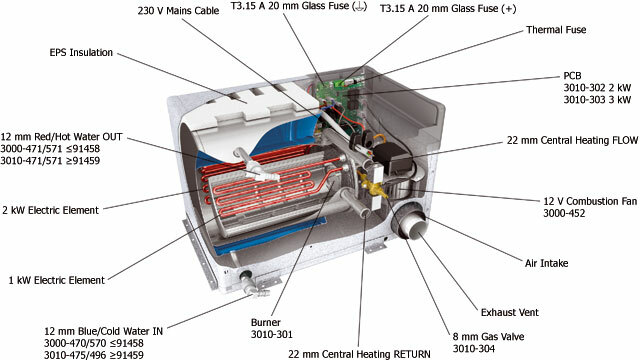 I’ve been in touch recently with some of our favorite manufacturers (and I define “favorite manufacturers” as any manufacturer who’ll respond to my e-mail!) and those who’ve responded have some pretty cool news to share. However, many have responded with some in depth updates that also include video and/or photos. So, to do them justice, I’m going to give them all their own individual place in the spotlight over the new few weeks. 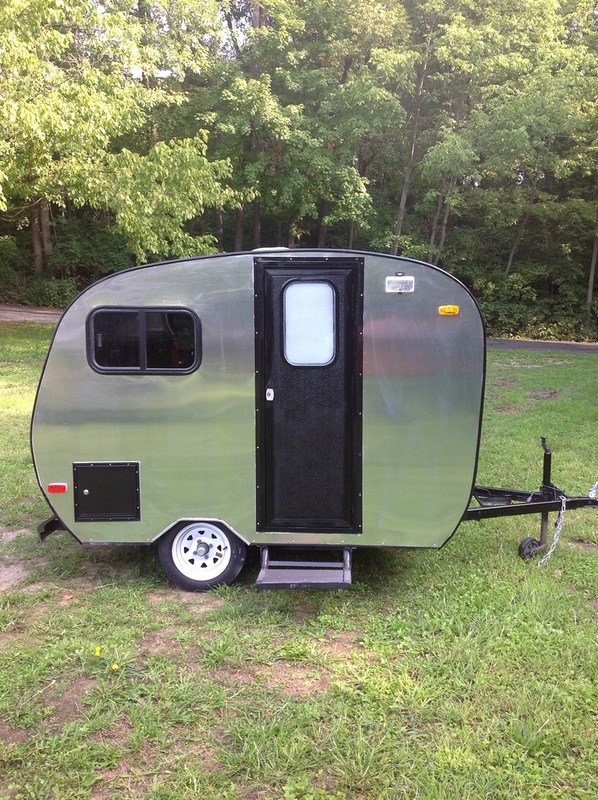 So stay tuned…I’m hoping to hear back from even more of our friends in the small trailer building business!